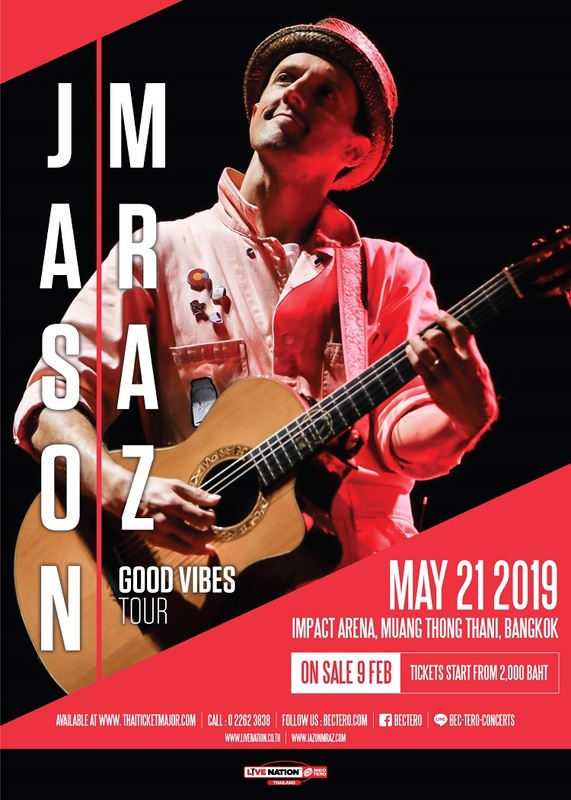 Multiple GRAMMY® Award winner Jason Mraz has announced plans for a 6-city tour of Asia in May 2019 with a Bangkok concert scheduled for Tuesday 21 May. through his vibrant recordings, humorous live performances, and philanthropic efforts. A dedicated artist and gentleman farmer, Mraz is first and foremost a committed global citizen. His impassioned social activism and philanthropic efforts span environmental advocacy to ardent support for human rights. 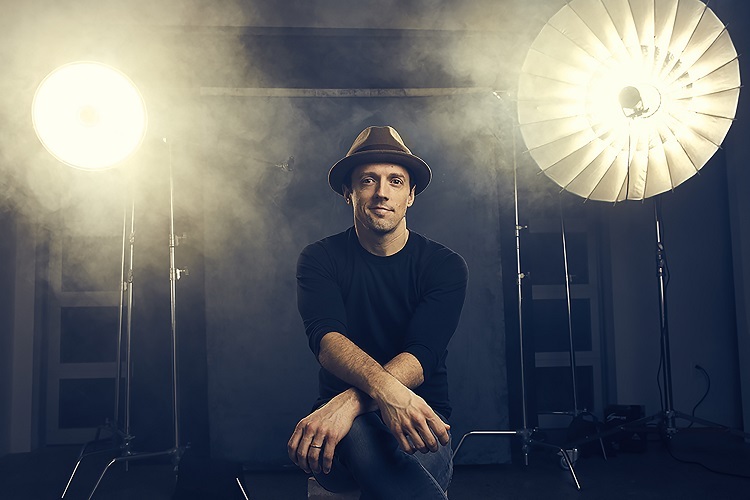 His own Jason Mraz Foundation serves to shine for arts education and the advancement of equality. 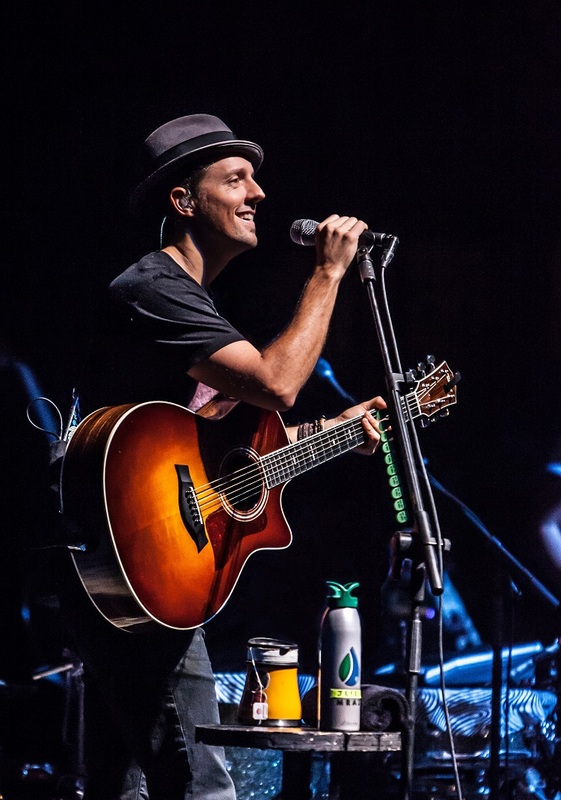 Through it all, Jason Mraz continually confirms and celebrates music’s myriad forms and miraculous power, inspiring and delighting his countless fans around the world. The tour announcement follows the release of Jason’s sixth studio album Know. 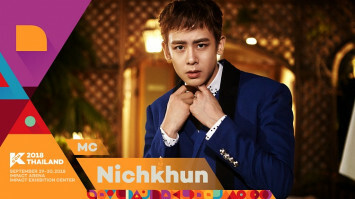 on 10 August, becoming his fifth consecutive studio album to debut in the Top 10 of the Billboard 200. “Have it All”, the first single lifted from Know. peaked at #1 on iTunes in various territories including Hong Kong, Taiwan, Singapore, Malaysia, Philippines, Indonesia, and Thailand. Taiwan had 8x #1 with Know on release across all partners including Apple Music, iTunes and KKBox. 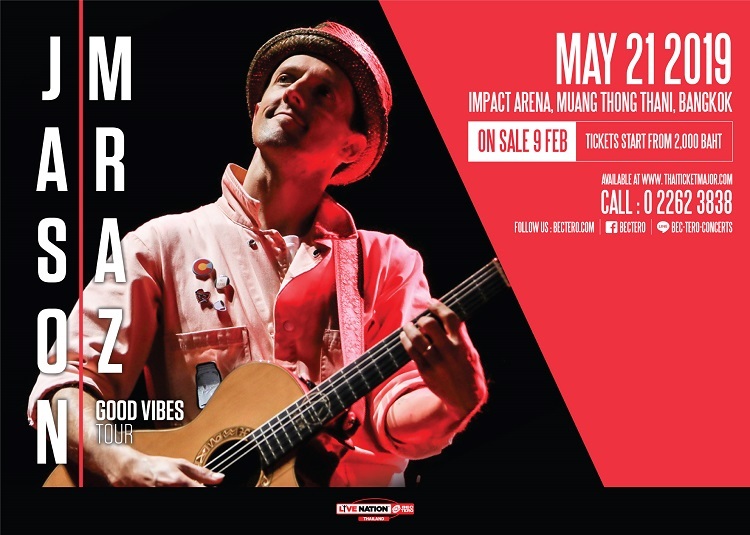 Mraz has performed in Thailand on three different occasions: in 2012 on the Love Is A Four Letter Word tour, the following year at the SONIC BANG music festival, and again in 2015 when he returned with Raining Jane. Don’t miss the JASON MRAZ GOOD VIBES TOUR on 21 May at Impact Arena, Muang Thong Thani. 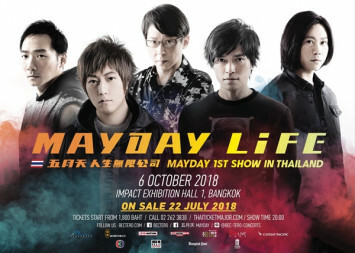 Ticket prices start at Bt2,000 and go on sale at 10am on Saturday 9 February 2019 at all ThaiTicketMajor counters or on www.thaiticketmajor.com and tel. : 0-2262-3838. Live Nation members are offered special privileges to book pre-sale tickets on Friday 8 February 2019. 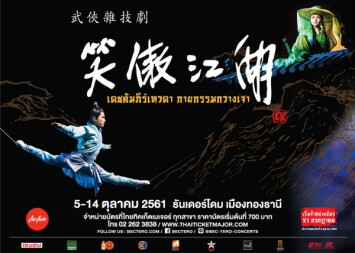 Another quality production of Live Nation BEC-Tero.